Through the acquirement of points, riders will determine an overall ranking for their yearly efforts and proudly display their ranking on their number plate throughout the following season. Also, there are special awards that go to the top points earning riders on several different levels. The Governor’s Cup series is a 38 year tradition in Oregon. The annual series is made up of 3 - 4 races, in which racers from around the Northwest compete for the title of Governor’s Cup Champion, and of course a giant 'cup’. Racers accumulate points for their finish at each race in this series. A rider must compete at each race to qualify for the cup. A cup is awarded to each age group and skill level that is recognized by USA BMX. Definitely a fun series and exciting series – you don’t want to miss this! Check the Calendar page for dates and links to the host tracks. 2008 was the first year for this 2 day, 4 race event hosted by the southern Oregon tracks. Check the Calendar page for dates and links to the host tracks. This event is all about the bragging rights. 2 day, A 2 multi-point race event, hosted one day at a District 1 track and one day at a District 2 track. This weekend series pits "02 (and south) riders" against "01 (and north) riders". Each state in the U.S. is divided into districts. Riders compete for points, beginning January 1st, that are reflected in an overall standing for each respective category: Boys, Cruiser, Girls & Girls Cruiser. The rider with the most points in each of these categories is listed as the #1 rider and so on down the line. Every rider with points is listed in PULL magazine each month with their name corresponding to their current ranking. At the conclusion of the racing season, December 15th, the final ranking received will be the number each rider will run on their plate for the following year. USABMX provides overall district awards to the top 10% of riders in a district to a maximum of 50. The #1 rider in each district (in each category) will receive a custom #1 number plate along with a custom jacket declaring that rider the #1 District Champion. Riders finishing 2 thru 10, if applicable, will also receive custom Top 10 jackets. Remaining riders available for awards after the Top Ten will receive medallions. All USA BMX members can compete at any USA BMX track in the U.S. and Canada with all points earned going towards their year-end overall ranking, i.e. a Oregon district 1 rider races in Arizona while on a family trip. All of the point earned will be added to that riders’ district point accumulation. 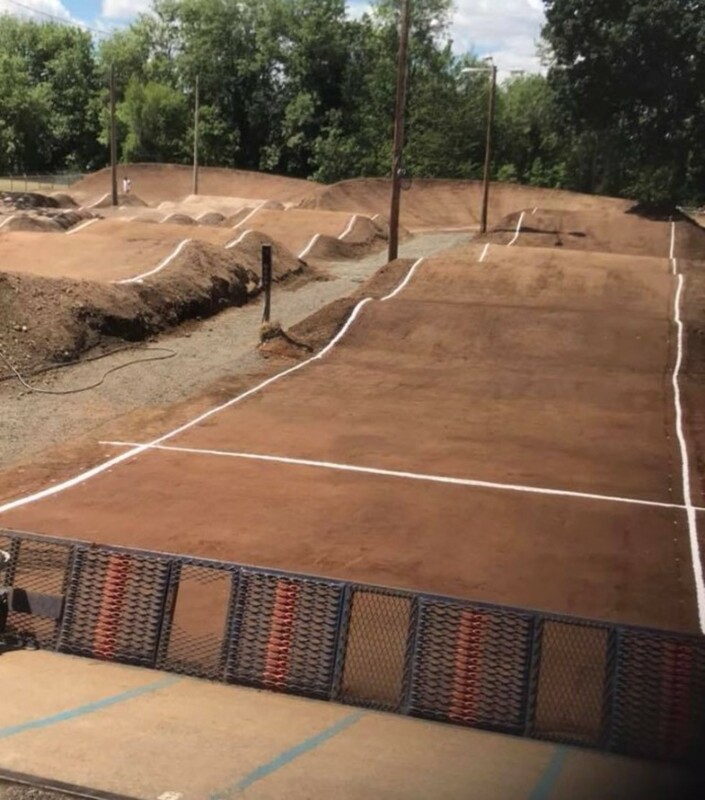 **In keeping with a long-time Oregon tradition, District #1 Champions will receive free single-point racing at Molalla River BMX!!! Each year a State Championship series is conducted. In Oregon and Washington, you must race at least 4 State Championship qualifier races and the State Championship Finals in your home-state. Each track will host an SCR (which will earn you double district points, the Finals are triple district points!) You can race as many SCR events as you’d like, but only your top four finishes at in-state SCRs will count towards your state points. Each age group’s State Champion (#1) will receive a custom award as well as being included in the group champion photo for PULL magazine. State plates will be distributed to the top 10 (or top 50%) riders in each age group. A rider does not need to qualify to compete in the State Finals, only to be eligible for Top 10 plates. The Gold Cup is broken up into six U.S. regions – Northeast, Southeast, Northwest, Southwest, North Central and South Central. A rider will count his/her best 2 Gold Qualifier scores plus scores from Saturday & Sunday at the Gold Finals. In addition to awarding a jacket and #1 plate to the winner in each age & skill level, USABMX will award Gold Cup #2 & #3 plates. Since points are kept for each age & skill level, it does not matter if your class makes at the Gold Final event - offering every rider a better chance at becoming a Gold Champion! In addition, both Saturday and Sunday at the Finals, will earn a rider quadruple district points! The Race of Champions event is the pre-race to the Grand Nationals. The ROC is the culmination of all of the state series in the U.S. A rider qualifies to compete at the ROC by ending their state series among the top 10 riders in his/her age group and classification (i.e. the top ten 6 year old intermediates from each state will have the chance to compete against each other). Each qualified rider will receive an invitation from USABMX to compete at the ROC. Any rider qualifying in any one class is qualified to race in all available classes. All riders winning their respective classes at the ROC will be awarded a custom #1 number plate that may be run on their bikes for the remainder of the following year. National Age Group NAG: This program is a national points ranking for riders of one specific age group to include all skill levels. The scores from each rider’s 6 best national event finishes plus the Grand Nationals count towards a NAG ranking. USABMX awards and allows only #1 - #10 (#1-#20 in AM Boys class) to be run in this category, which makes it quite prestigious. Along with becoming a champion and attaining the #1 status for these title categories, other awards in the past have included vacation packages, scholarships and motorized vehicles.